According to various reports from medical researchers, an adverse exposure of lead can cause severe damage to almost every system in the body. 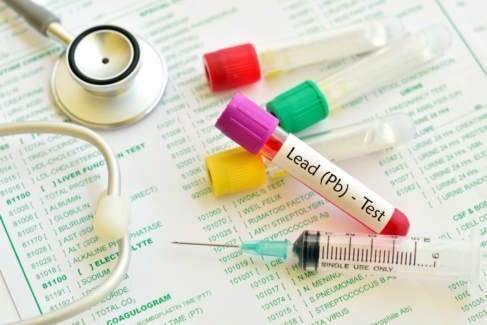 The Centre for Disease Prevention and control (CDC) confirmed that safe blood lead level is yet to be identified. They also concluded that the only way to stay safe from lead exposure is to prevent it before it occurs. As a result, when a person has been exposed to lead, the exposure normally goes undiagnosed for long until it’s too late. The reason is because lead exposure has no obvious physical or psychological symptoms associated with it. Moreover, experts revealed that young children are specifically more vulnerable to lead exposure, which can severely affect both physical and mental development. Dr. Mona Hanna-Attisha, the flint physician, sounded an alarm during the city’s water crisis by insisting that lead is an irreversible, potent neurotoxin. She commented during an interview with CNN that whenever there’s any case of lead, pediatricians will normally freak out. They should also have their kids tested of lead exposure if there’re suspicious. Parents are recommended to take their kids for testing during routine well exams, for doctors to check the amount of lead in their blood. The test is usually covered by most private health insurance and Medicaid. According to the American Academy of pediatrics, children should be tested at the minimum ages of 1 and 2. Consequently, a blood sample is taken from the child and levels are measured in micrograms per deciliter. If the results indicate a level of 5 mcg/dl or higher, that child might be at risk of hiving unsafe levels of lead in his/her body and further testing is recommended. If the levels exceed 45 mcg/dl, doctors will prescribe drugs for lead poisoning. In addition, doctors may also initiate “chelation therapy” whenever severe cases arise. This is the most common treatment; hence the medication works by binding with the lead so that it’s excreted in urine. Dr Hanna-Attisha added that health professionals are highly concerned with lead due to its impact on human cognition and behavior. Actually, lead drops the IQ of an already exposed person. “Imagine what we’ve done to our entire generation, we have shifted that IQ down and as a result, we have lost our high achievers. A child who’s going to be the next neurosurgeon, and we have all this kids who may now require remedial services”, said Hanna-Attasha. “ADHD and even criminality have also been linked to lead poisoning”. Lead poisoning can be fatal at very high levels. As a result, everyone can be affected by lead differently, though every single organ system is impacted in almost all cases, the damage is irreversible and lifelong. Centers for Disease Control and Prevention (CDC) reported that, at least four million households have kids being exposed to high levels of lead. Moreover, it was also approximated that half-million U.S children ageing between 1 and 5 have lead blood levels above 5 mcg/dl which requires medical intervention as recommended by CDC. Parents are always advised to prevent lead exposure at their homes before it occurs. Although several sources have been linked to lead exposure such as food, air, water, soil, and dust among them, young children are at high risk to lead-based paint which is the most dangerous and widespread high-dose source of lead exposure. Lead has no smell and is also invisible to the naked eye. According to CDC, young kids are easily exposed to lead from different sources such as gasoline, paint, and consumer products. Maintain a high nutritious diet. Nutrition plays a huge role, as some foods help limit lead absorption. Foods rich in calcium such as yogurt, cheese, milk and green leafy vegetables; vitamin C such as juice, oranges, green and red peppers. As a result, when lead enters your body, it can either get absorbed into your bones or it can get excreted. However, if you have enough calcium, lead will be hindered from being absorbed into your body. Keep your child’s stomach full. An empty stomach absorbs more lead, so it’s very important to always have lots of snacks in order for your kids to have fuller stomachs. Have plenty of mental stimulation to help mitigate any possible problems to those developing brains, Hanna-Attisha said. Finally, Hanna-Attisha also insisted that as a parent/guardian, you should learn to talk to your kids, read to them, stimulate them, enroll them in preschool and put them in early literature programs, so you may easily understand their health condition and seek early medical attention in case you suspect any health complication. 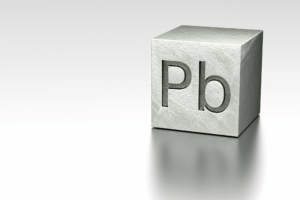 Summary; According to pediatrics, lead exposure can be difficult to detect and as a result, many live with it without experiencing any symptoms until its impact has become more severe. This can pose danger to one’s life, especially to young kids due to their weakened immune system. As a parent, therefore, you must pay close attention to your kids and their exposed environment in order to keep track of their health well being. Three Products to Use Daily to Prevent Sickness – Are You Using Them?